William Claude Hopkins was a native of Pikeville, Kentucky and a graduate of Pikeville High School. He received a Bachelor of Science degree in Mechanical Engineering from the University of Kentucky in 1967. During this time, he was a member of Tau Beta Pi, Pi Tau Sigma and Lances honor societies. He then pursued graduate studies at North Carolina State University where in 1972 he earned a Master of Science degree in Nuclear Engineering. After receiving his M.S. degree, Mr. Hopkins joined the Bechtel Group, Inc., one the world’s largest engineering-construction firms, as an engineer in the Nuclear Engineering Department. This marked the beginning of a professional career spanning thirty years in the field of nuclear engineering. In 1976, Mr. Hopkins was promoted to senior engineer, where he led the shielding design for the containment and drywell buildings for the first Mark III BWR power plant for the Grand Gulf Nuclear Station project (Mississippi ). In 1977, Mr. Hopkins was named a senior engineering specialist on the staff of the Mechanical/Nuclear Engineering Department of Bechtel Power Corporation. Over the next fifteen years, he became internationally recognized as an expert in radiation damage to materials. During this period, he was appointed Chairman of the American Nuclear Society (ANS) 6 Standards Working Group for Radiation Protection and Shielding. He performed the first of its kind skyshine analysis for the Indian Point 3 ( New York ) steam generator storage vaults using the MORSE Monte Carlo Code. He then went on to develop the first adjoint skyshine code for the Surry Independent Spent Fuel Storage Facility (Virginia). Mr. Hopkins was an original member and technical adviser of Bechtel’s Three Mile Island Initial Planning Study Team, established shortly after the nuclear power plant’s accident in 1979. This team planned the decontamination and recovery of Three Mile Island ‘s Unit 2. He was a principal investigator for a U.S. Nuclear Regulatory Commission research study on Nuclear Plant Life with the Idaho National Engineering Laboratory. In 1992, Mr. Hopkins was promoted to Principal Engineer II within Bechtel’s Mechanical/Nuclear Engineering Department. During this time he compiled an impressive list of accomplishments. He was the leader of a team of health physicists, geologists, and nuclear engineers who developed dose models for a License Termination Plan that supported the decontamination and decommissioning of the Connecticut Yankee Nuclear Power Station. He served on the Nuclear Energy Institute’s industrial task forces on reactor pressure vessel integrity and the use of Advanced Light Water Reactor source terms for current Light Water Reactors. He also served on a joint U.S. Department of Energy/Russian task force to examine nuclear replacement options for two Russian weapons production reactors. He served as the chairman of the Engineering Committee for Technical Excellence for Bechtel Group and as the Bechtel Power representative on the Bechtel Group’s Intellectual Property Panel. In recognition of his many contributions to the field of nuclear engineering, Mr. Hopkins was elected a Bechtel Fellow in 1991. 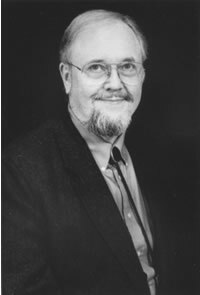 He was also a recipient of the American Nuclear Society’s Standards Award for 2000. Mr. Hopkins retired from Bechtel in 2001, but continued his career as a consulting engineer. He served on the ANS Standards Steering Committee as well as chairman of the ANS 6 Working Group. He also served as deputy overall advisor for subcommittee SC2 (Radiation Protection) to the U.S. Nuclear Technical Advisory Group. Mr. Hopkins held U.S. and foreign patents for work related to the integral reactor cavity shield/seal for nuclear power plants. He also authored numerous papers on nuclear engineering. He was a member of the American Nuclear Society, U.S. Nuclear Technical Advisory Group, American Society for Testing and Materials, American Society of Mechanical Engineers and was a registered Professional Engineer in Maryland . He was particularly interested in introducing the field of engineering to a new generation of students. As such, he was the president of the board of directors of the Junior Engineering Technical Society, a national non-profit education organization that served the pre-college engineering community for over 50 years. Mr. Hopkins died April 26, 2011. He is survived by his wife, the former Susan Brooks, and one daughter.